Training companion dogs for sport and competition may seem a bit like barking up the wrong tree. After all, you see your dog as your best friend and got a dog so you’d have sidekick for strolls in the park, car rides, and life’s various adventures, right? So signing up for a series of classes and spending endless hours of practicing specific skills and routines that have nothing to do with your every day life may seem tedious at best. 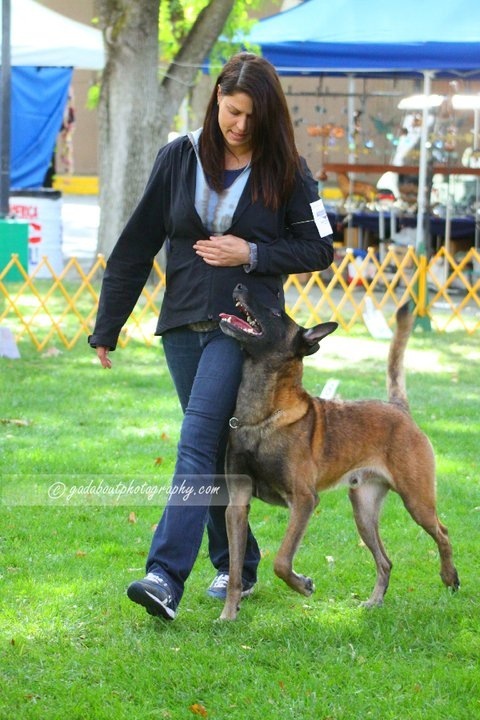 San Francisco Bay Area dog trainer and behavior counselor, Sandra Mannion, believes that the notion there is a big difference between pet dogs and working dogs is a myth, because every dog was created for a purpose. Many of the sports available to dogs today are versions of standardized tests that were originally designed to showcase a breed or type of dog’s specialized abilities. There are sports and competitions for nearly every activity that dogs were originally bred to do. Gun dog trials and dock diving games for retrievers, scenting competitions for hounds, herding trials for collies and shepherds, and so on. There are even companion dog sports such as rally, obedience, and the canine good citizen test which award titles you can earn to show that your dog is well mannered and excels at being a good companion. These sports highlight basic behaviors that would benefit any dog living in our human society with all of it’s non-doggy expectations and rules. Skills such as focusing on the handler, coming reliably when called, and staying in one spot when required, and not pulling on leash are useful in every day life, so it’s not far fetched at all to try your hand at training your companion dog for sport, in fact it will only enhance your communication and relationship with your dog. Sandra feels that integrating competition into your companion dog’s routine is a good idea because many pet dogs are underutilized with their natural inclinations and energy left untapped. 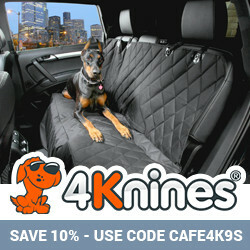 If a dog’s inherent skills and impulses aren’t appropriately channeled and given an outlet, problems may ensue. Like a pressure cooker, that energy that is being generated must go somewhere! Sandra argues that beyond basic classes (which she feels are absolutely necessary) it’s important to honor your dog’s history and genetic predispositions from the beginning by providing a fun outlet for her inclinations. Doing so will help you gain appreciation for where those (sometimes to us) annoying habits that are actually a long-standing extremely useful part of your breed or type’s heritage come from and why they exist. Sandra’s favorite part of her job is helping people realize the amazing potential their dog has when they get past the “behavior problems” their dog is exhibiting and learn to use the dog’s energy and enthusiasm that was previously going in the wrong direction and put it somewhere productive. 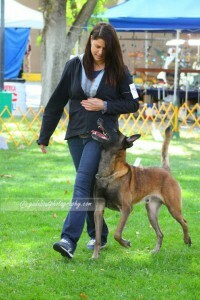 This leads to rewards beyond their expectations as they watch their dog develop and excel. This fresh perspective often saves relationships that were going down hill and ultimately keeps dogs in their homes with people who have a new appreciation for the amazing creature we call our best friend. This entry was posted in Kelly Gorman Dunbar, Leadership/Motivation/Counseling, Training and Behavior, Uncategorized on March 19, 2012 by Kelly Gorman Dunbar.